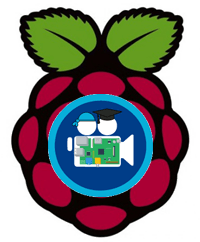 Raspberry Pi 2 and related devices have become quite popular NAS home media servers. I have previously released images that are already loaded with the standard services like Plex, NZBGet, SickRage, Sonarr, CouchPotato and Transmission. I realize some people may want to pick and choose which services are installed so I forked Igor’s debian micro server script and adapted it to include many media server goodies – dubbed the HTPC Guides Media Server Installer. I have provided a free image at the bottom of this post which has a Minibian base and the media server installer pre-installed for your convenience. The image will work on Raspberry B+ and Pi 2 units although there are some limitations for the B+. 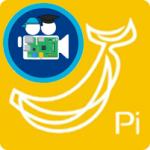 Get your Banana Pi and Banana Pi Pro image here. When you have finished installing and customizing your image, shrink it and back it up. It works well with UsenetServer and Astraweb for usenet, read more about usenet. 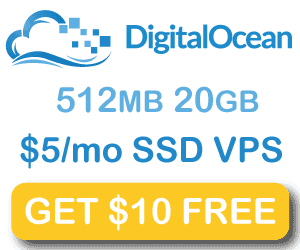 Torrent fans be safe with Private Internet Access for secure torrenting. There are two options, clone the simple installer yourself from github onto your existing Raspbian SD card installation. It is designed to be used on a fresh system and supports Wheezy and Jessie at the moment. The other option is to download the Minibian image at the bottom of this post which has the installer preloaded for your convenience. The login credentials are root/htpcguides and pi/htpguides, for security reasons follow the initial setup guide to reset your SSH keys and password. Install one program at a time. Plex will run on any ARMv7 device but will not run on the Raspberry Pi B+. I consider the installer in beta currently because I have had issues with Ubooquity autostarting, I am trying to resolve them. Share this post to get the image, please report any issues you have here. Use PuTTY or an SSH client to log in to the Pi to avoid getting wrong password errors if you use a non-US keyboard. There is no desktop environment provided with this image (you can install one), it is a headless server image.